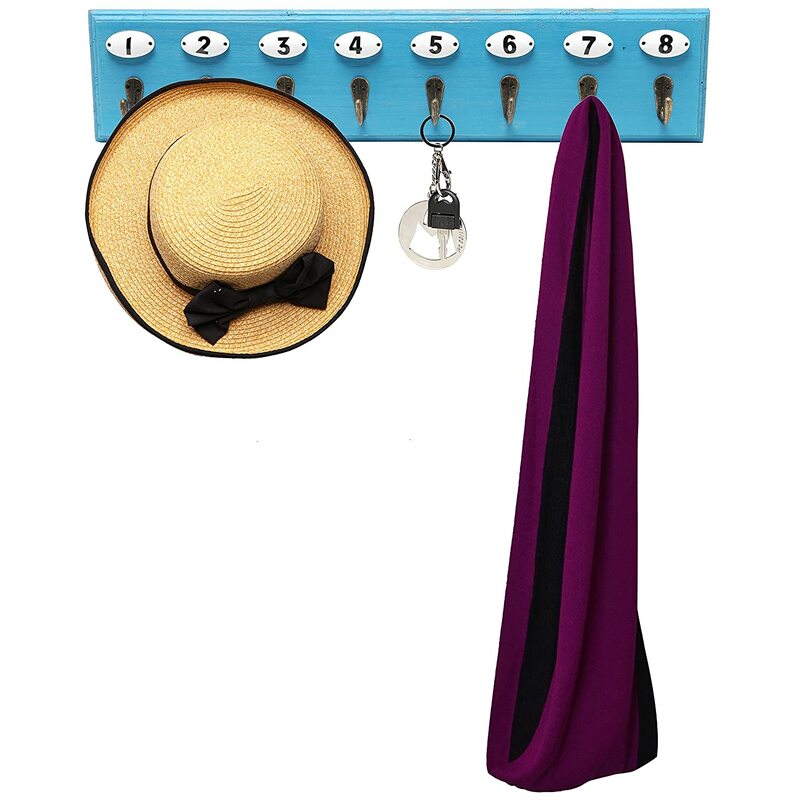 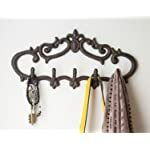 Cut clutter and add organization to your home with this wall-mounted hook rack. 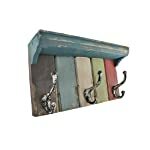 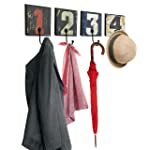 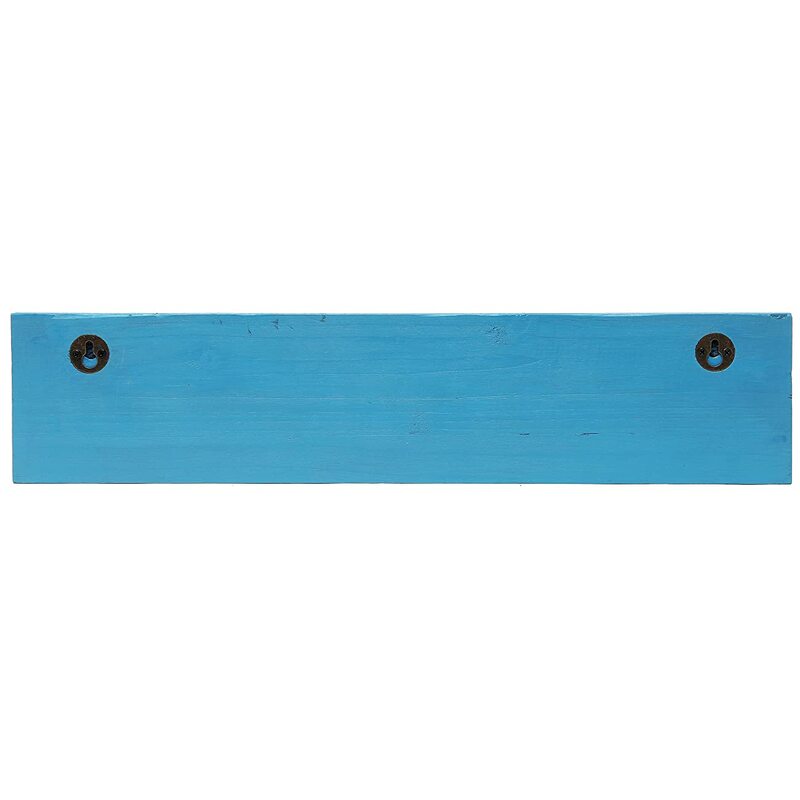 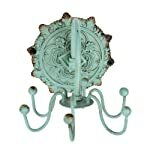 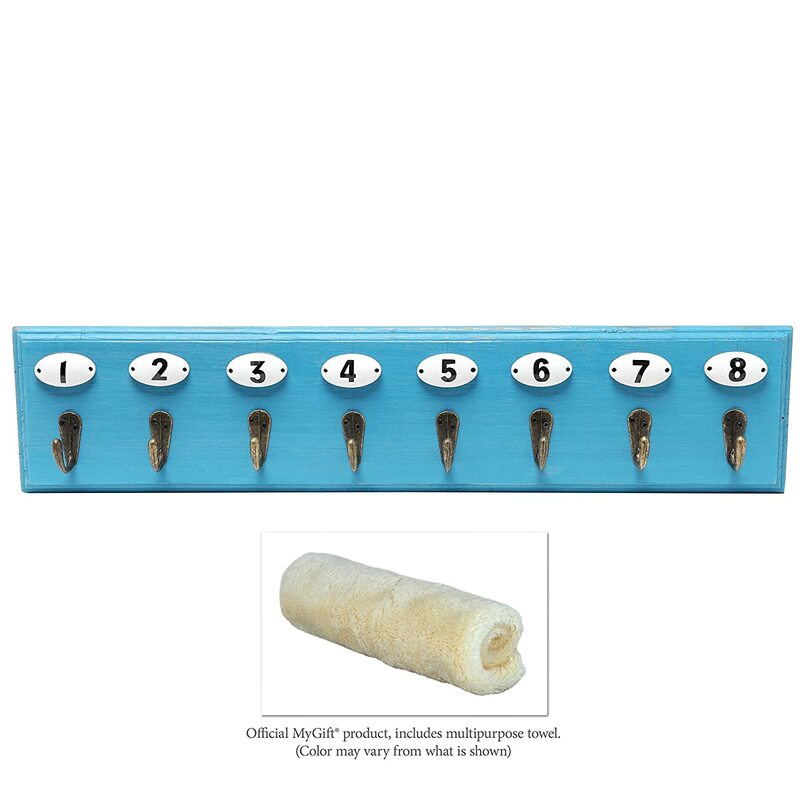 Featuring a wooden rail base with charming distressed paint finish, this hanging storage rack comes with 8 rustic-style metal hooks that can be used in any room to hang such items as coats, hats, scarves, handbags, robes, and aprons. 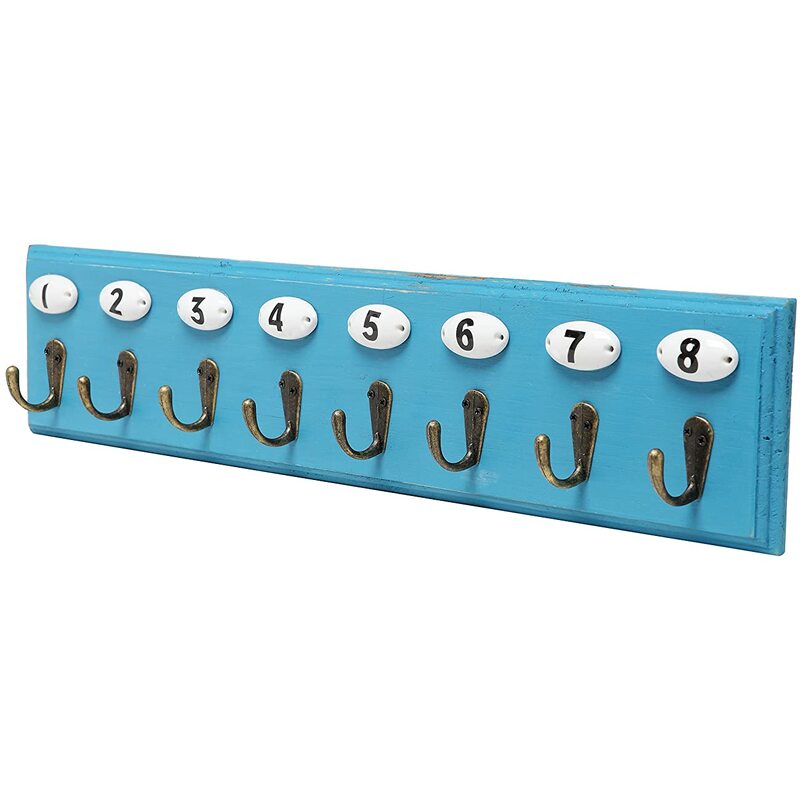 A raised white oval above each hook features a printed black number that helps you keep your belongings organized as well as stored. 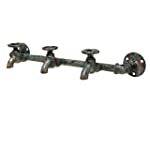 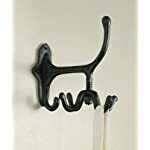 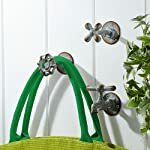 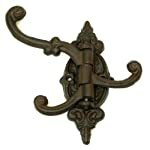 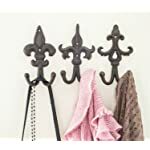 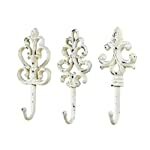 You can add this hook hanger rack to any space with ease by using the appropriate mounting hardware (not included) and the brackets on the back to install these coat hooks on any wall. 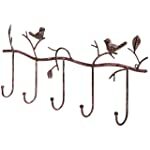 Approximate Dimensions: 19.7" W X 2.2" D X 4" H.